Since, inception from 2016 Brain Chamber Polysacks get involved in converting polypropylene granules into FIBC for growing packaging needs of food, agriculture and pharmaceuticals industries. We are export oriented unit under cochin special economic zone in India. Big bags are highly demanded in food, agriculture and pharmaceuticals industries for storing bulk quantity of material or transporting to other place. Our each FIBC bag is undergoes testing to ensure high quality, durability of bag. Feel free to know how we can ensure you with export quality Big Bags. Now days industrial sector is moving towards globalization and needs eco friendly custom packaging for their manufacture products. Brain Chamber Polysacks is fastest growing polymer company manufactures export quality custom jumbo bags for safe packaging and transportation. An industrialist or construction builder or farmer knows how much he want to make stock of his product or want to sell his product. Depending upon his product he should made requirement of custom jumbo bags for storing his product in bulk quantity or for safe transporting. Jumbo Bag is bag use for storage and transport dry products in bulk quantity. It is light in weight, easy to carry and water resistant in nature. Varieties of goods are transported and store easily by Bulk Bags or FIBC. These jumbo bags are versatile and durable for storing and transporting goods like soil, food grade products, sand, chemicals and hazardous goods in bulk quantity. Demand of packaging is growing day by day from various industries like food industries, chemical, agricultural and pharma industries. For bulk packaging you need a bulk storage bag to store and transport those bulk products easily. FIBC jumbo bags is an effective packaging solution for storing and transporting variety of products easily in bulk quantity. FIBC Bulk container also known as Flexible Intermediate Bulk Container or Big Bags in market commonly use for storage and safe transportation of powdered form or tacky materials. FIBC are widely use in all kinds of industries for packaging bulk quantity of materials, that’s the reason those bags are also use in food industries today. FIBC usually known as Flexible Intermediate Bulk Container. Today in industrial sectors we know for carry bulk materials or goods from one place to another is critical. FIBC/Jumbo Bag has gained a reputation for being versatile bulk packaging option in packaging industries. It is an effective bulk packaging for transportation and storing dry flow able products, chemicals etc. 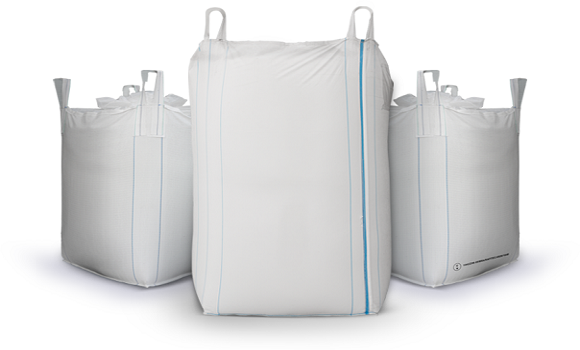 Jumbo Bag is bag use for storage and transport dry products in bulk quantity. Varieties of goods are transported and store easily by Bulk Bags or FIBC. FIBC/Jumbo Bag has gained a reputation for being versatile bulk packaging option in packaging industries.